Posted June 9, 2015 & filed under Events in Dewey Beach DE, Things to do in Dewey Beach DE. The Starboard presents the 19th Annual Running of the Bulls on Saturday, July 11, 2015. Coinciding with the Festival of San Fermin in Pamplona, Spain; this event involves a party for kids, a “bull run” and lots of celebration! 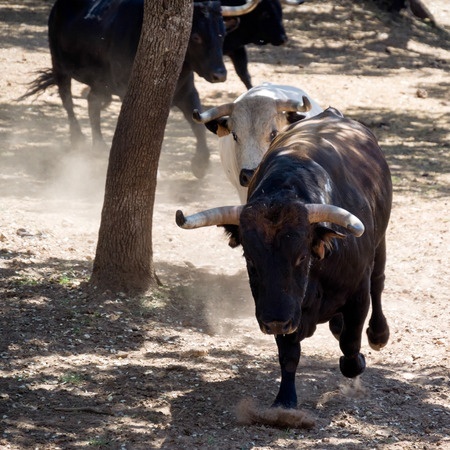 Wear red and white to symbolize the traditional colors of the bull runners and bring the whole family to participate in this lighthearted summer tradition! Ally Oop Skim Board Camp has paired up with The Starboard to present a morning of music, races and games for kids of all ages at New Orleans Street Beach. The party kicks off at 12 p.m. with free skim boarding lessons. For more information, click here! The Annual Bull Run itself takes place at 2 p.m., beginning when the bull – two people in a bull costume – is released among the crowd. The group will then run and swarm the beach, heading six blocks down the sand. After the run is over, the group will head back to The Starboard to watch the traditional bullfight! The fun continues with a party throughout the afternoon and evening to celebrate the Festival of San Fermin here in Dewey Beach! Interested in taking part in the run or just coming to watch? Click here for more information, then head back to Atlantic View Hotel to book your stay for this weekend of fun!